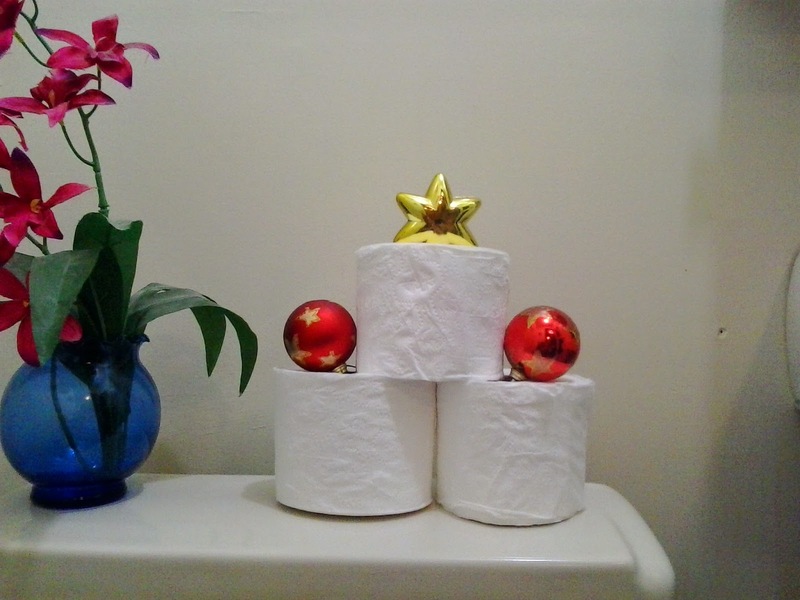 The bathroom is sometimes forgotten when it comes to decorating, but I feel every room of the house should be festive. 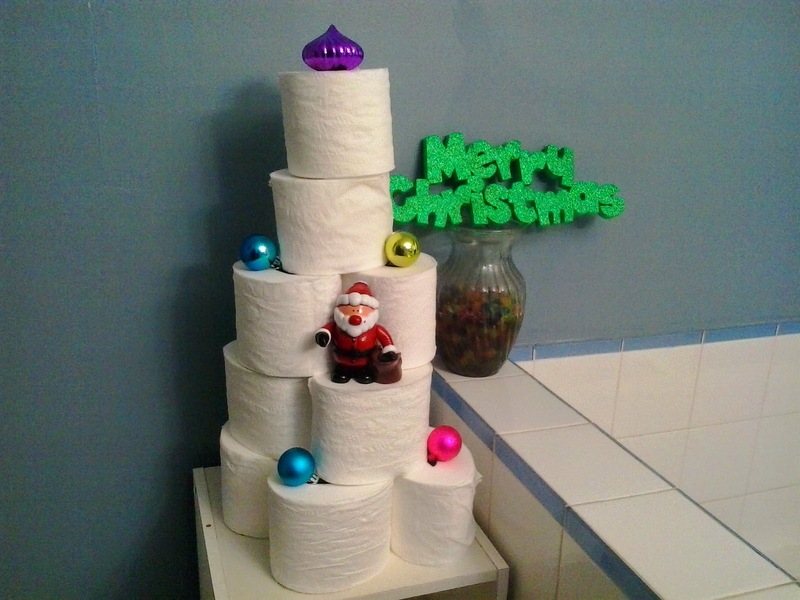 With this simple trick you can create bathroom toilet paper trees. If your like me and buy toilet paper in bulk then you already have what you need just snag a few extra decorations and that's that. If you want to go all out you can wrap them in garland but for now I'm sticking with the simple look. If you have two bathrooms you can easily make mini trees as well. Easy and free holiday decor is always a winner in my eyes!